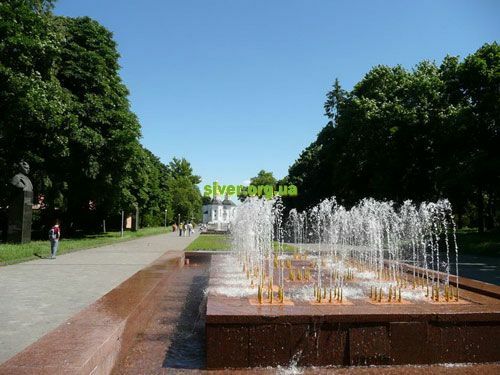 Chernihiv is one of the most ancient towns in Eastern Europe and it was an important center of Southern Rus. 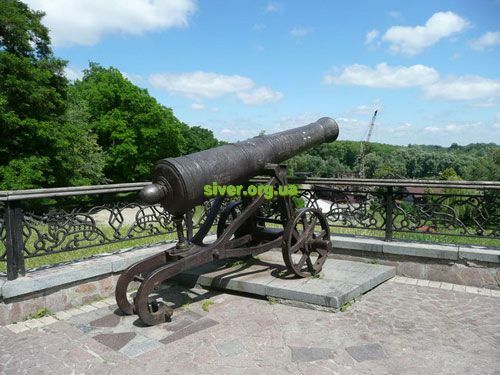 In times of Kyiv Rus Chernigov had been competing with Kyiv in significance for many centuries and it was the last step towards the princely throne of Kyiv. In 1992 the town celebrated its 1300 anniversary. 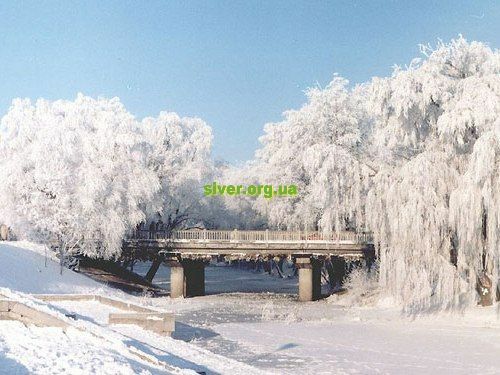 The territory of Chernigiv with its fascinating main river Desna was a real tasty morsel and struggle for Chernigiv and all Severa lands has lasted during all their history. 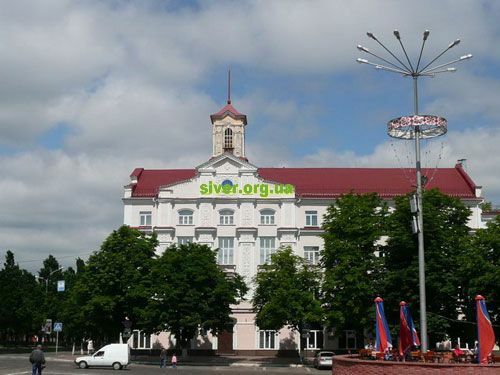 Archaeologists consider that Chernihiv which later turned into the capital of principality was founded at the end of the 7th century in the lands of “Severa” tribe that was of Iranian origin. According to city legends and Polish chronicles the name of first Prince of Chernigov allegedly was prince Cherny. People believe that he was buried in the tumulus known as“Cherny Grave”. This tumulus is one of the few preserved ones on the territory of former USSR since the times of pagan Rus. 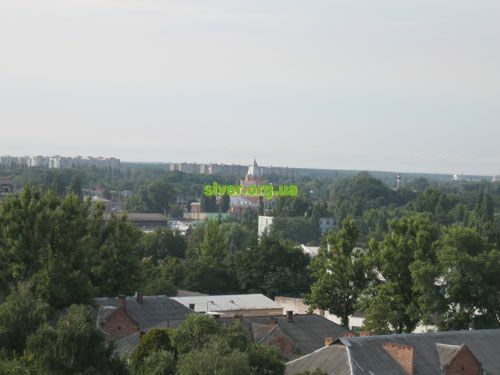 And perhaps Chernihiv got its name in honor of its first legendary prince. And the first Chernigov prince who was mentioned in chronicles was Mstyslav from Tmutarakan. He was a son of Kyiv Prince Volodymyr who adopted Christianity as state religion in Kyiv Rus. 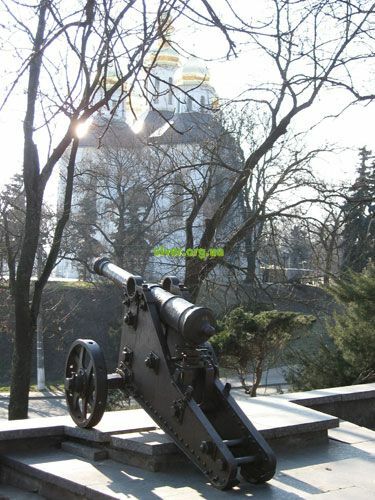 Mstyslav was named by contemporaries “The Brave” and was estimated by annalists as worthy successor of the military glory of his father Volodymyr the Baptizer of Rus and grandfather, Kyiv Prince Svyatoslav. One would fail to find in chronicles similar words regarding Mstyslav’s brother Yaroslav the Wise whose character and ambitions unleashed the first civil war in Kyivan Rus. In 1024 Mstyslav defeated the troops of his brother Yaroslav the Wise. As result Rus was devided in two states with the border along the Dnieper river: Right-bank Rus with capital in Kyiv and Left-bank Rus with capital in Chernihiv. The same year Mstyslav laid the foundation stone of the Spassky (Our Savior and Transfiguration) cathedral. 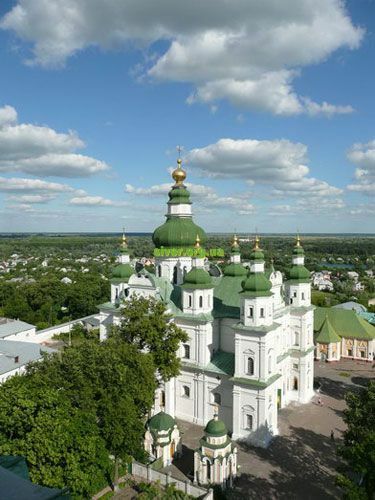 Nowadays this cathedral is one of the most ancient preserved Orthodox churches on the territory of Ukraine and Russian Federation. 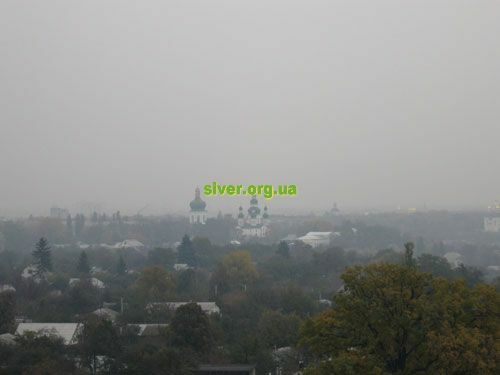 Alas Chernihiv was not fated to be the capital for a long period! Mysterious death of Mstyslav’s son and later his own death in 1036 (died within 3 days) enabled Kyiv Prince Yaroslav The Wise to get hold of all Rus lands. In 1054 prince Svyatoslav, the eldest son of Kyiv prince Yaroslav The Wise was announced the Duke of Chernihiv and had ruled the principality for almost 20 years. He turned Chernigov into well reinforced fortress and founded Yeletsky (Fir grove) Monastery with grand Uspensky (Assumption) Cathedral. 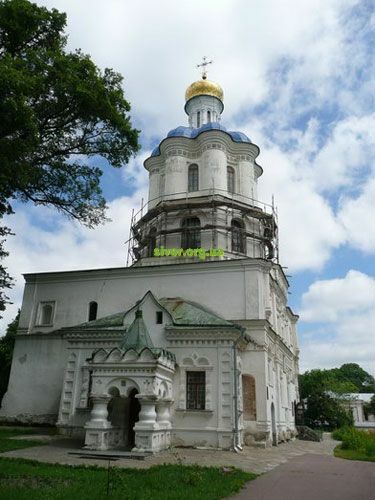 In 1069 the first Russian monk St. Anthony started cave monastery on Boldin Hills in Chernigov. The mysteries and secrets of this cave complex continue to excite many scientists. The Boldin Hills can also boast of two unique pagan tumuli. There were found remains of warrior-giant in one of them. Some researchers believe that there was buried Russian epic warrior Ilya of Murom. One of the biggest tumulus burial area in Eastern Europe is also located in the Boldin Hills. Grand Duke Volodymyr Monomakh ruled over Chernihiv for about fifteen years (1078-1093). He afterwards became the Great Duke of Kyiv(1113). In 1120 Chernigiv Prince David laid Borys and Glib’s Cathedral on the site of former pagan shrine on the territory of modern Val (Rampart). 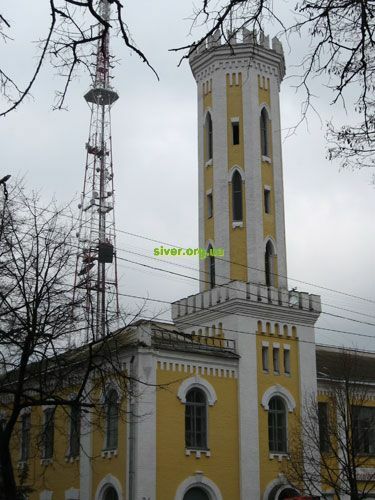 One more preserved church of The Church of St. Parasceva Pyatnitsa is of the same age as the monument of Ancient Rus Literature “The Lay of Igor’s Warfare” (end of XII century) and it is the real pearl of Chernihiv architecture. The main character and probably the creator of “The Lay of Igor’s Warfare”, Prince Igor of Novgorod-Siversky ruled over in Chernigiv after his unsuccessful campaign against Polovtsian in 1185. It is believed by some researches that he was buried in Chernigiv as well. Chernigiv was devastated by Mongol-Tatar horde in 1239 similar to many other Rus towns. And chronicles had kept silent about Chernigov for almost three centuries untill Chernihiv came under the rule of Lithuania and Poland. 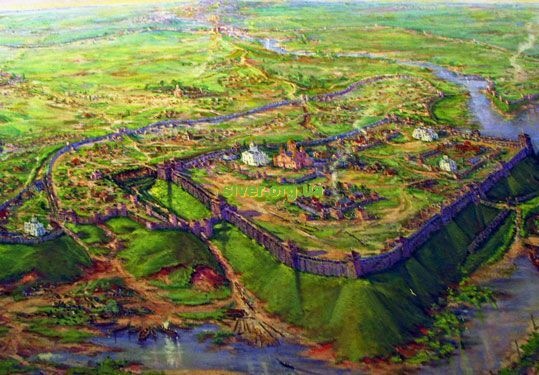 In 1503 Moscow Rus came into possesion of the bigger part of Chernigiv territory. But after people’s revolt against Moscow in 1606 the territory returned again to Poland. During the War for liberation (1648-1964) Chernigiv colonel Martyn Nebaba was one of the closest companion-in-arms of Cossack Hetman Bogdan Khmelnitsky. In 1696 it was Chernigov Cossack regiment commanded by Assigned Hetman Jakob Lyzogub that first burst into Turkish fortress Azov. That event was commemorated by erecting the Yekateryninska (St. Catherine) Church. 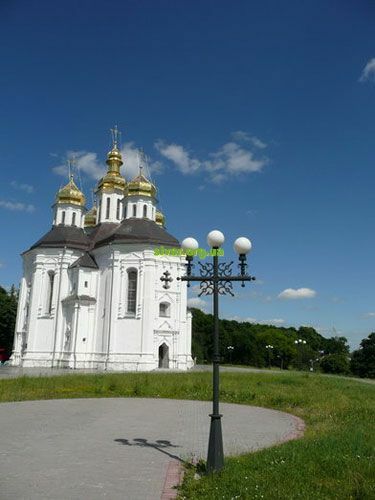 This beautiful church is a real pearl of Ukrainian Baroque style. One more Chernigiv Cossack Colonel is well known in history. It is Pavlo Polubotok. He participated in Poltava battle on the side of Moscow when in 08/07/1709 Peter I defeated Charles XII the king of Sweden. Peter I relied on Pavlo Polubotok greatly. Nevertheless he put Polubotok in prison later on and was cursed by Chernihiv Colonel. The damnation came true! Peter the Great died soon. 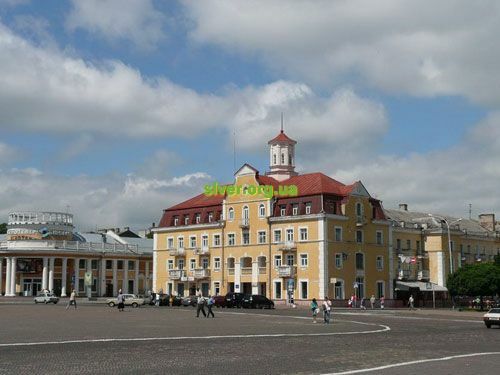 But Chernigiv is renowned not only for its heroic history and numerous landmarks. Though it should be noted that despite terrible destructions caused by bombardments during the World War II there is preserved about quarter of all Ancient Rus monuments of pre-Mongolian period in the former Soviet Union. Talented fabulist Leonid Glibov lived and was buried in Chernihiv as well as Ukrainian folklorist and ethnographer Afanasiy Markovych who was married the equally renowned novelist Marko Vovchok (Mariya Vilinska). The couple of the Kotsubynskies is also buried in Chernigov. Mikhail Kotsubynsky was an outstanding Ukrainian writer, public figure and founder of modern Ukrainian literature. And actually Chernigiv has some inexplicable aura. But it so happened that being an unique historic city it has always remained in the shadow. But now town is ready to be revealed by lovers of unique, interesting and mysterious.